We are a family owned and operated watch & clock retail store that has been providing sales and repair services in the Kansas City area for over 30 years. 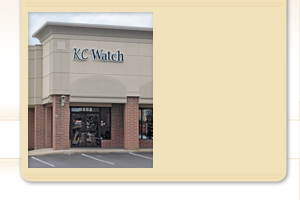 KC Watch is a family business which started in 1978. Originally known as KC Digital Watch Co. we have proudly served the Overland Park and Kansas City area for over 30 years. Through word of mouth our reputation for quality and honesty has helped us grow into a popular destination for those in need of watch repair or looking to purchase a new timepiece. 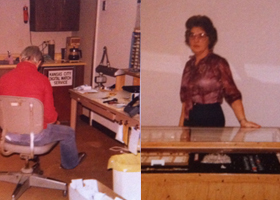 Bob and Shirley originally started the business in a spare bedroom repairing watches for other stores as well as their own customers. Quickly the business grew into a retail store, and after a couple initial locations, in 1987 we found our current location at 95th and Antioch. 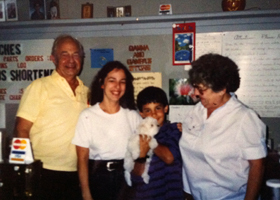 Their daughter, Cheryl Bayliff, purchased the business in 1998, keeping it family owned, and operates the day to day business with her son Jimmy and Grandma still working part-time. "I only came here because I made several calls to different places to ask about the types and prices of watch batteries. KC Watch was the only business to answer and actually seem like they wanted my business. The staff was a mother and daughter, so it must be a family owned business which I am always in support of."